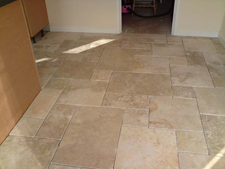 We offer a specialist stone laying, tiling and flooring design service. We offer; under floor heating, concrete screeding, stone patio design and laying and almost any service to do with the laying of floors. 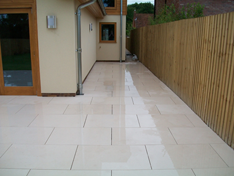 Our team of stone specialists have years of experience and can help you overcome any challenges of space and surface. We are happy to give complimentary advice to aid you in choosing and laying the right flooring for your home or business. Please feel free to call us to discuss your project. We have a huge array of different types of kitchen wall and floor tiles. You can choose from Limestone, Marbles and Travertines all of which are suitable for your kitchen floor. Marble is a luxurious stone which tends to come in a selection of warmer, softer colours. We have an array of colours to choose from to best suit your home and we can give you advice on this. 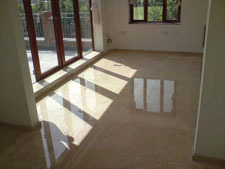 Comprehensive stone floor waxing, polishing and sealing.